Cell lines have resulted in vast information learned about signaling pathways, genes and receptors that regulate cellular processes. Incorporating these cell lines into animals (xenografts) enables quantitation of tumor efficacy for novel therapeutics that target inhibition of signaling pathways. 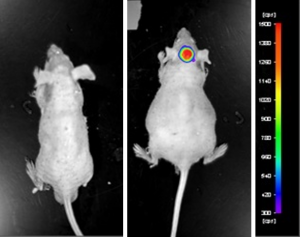 The A2058 CDX subcutaneous mouse model allows researchers to focus their in vivo efforts on discovery of anticancer therapeutics via common methods (e.g. GNE-783, GDC-0973, GDC-0941) or novel synthetic or natural compounds (e.g. SOID-8, Epipolythiodioxopiperazines).